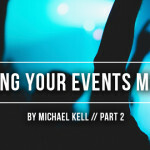 Following up with students after an event is a vital part of ministry and discipleship. In Part One of this three-part series, Derik Idol — Pastor of High School Ministry at 12Stone Church in Georgia — shares five practical steps you can take to follow up properly with students. It’s Tuesday and camp just ended late last Friday night. I really need a week off to catch up on sleep and recover from the emotional, spiritual, and physical roller coaster that has just ended, but there are things too important for me to ignore today. Last week was spiritually moving for many of our students and decisions were made that are going to alter the trajectory of their lives, but they are left with questions. “What’s my next step?” “Where do I go from here?” Maybe it was salvation. Maybe a call to ministry. No matter what the commitment, they are left with questions and need answers. Now is not the time to take a week off. I have to be responsible and follow up with students. But how do I follow-up? What steps are important to take? Here are a five practical steps that have served our student ministry well when it comes to follow-up. 1. Follow up on site. Follow up before you ever leave the event, camp or retreat. I have follow-up conversations with students before they leave because they have my full attention and their decision is fresh on their mind and heart. This is the best time to drive deep the importance of next steps. I set up a meeting for the following week with every student that accepts Christ before we even leave camp. 2. Capture decisions at the event. Have you ever ended camp, an event, or retreat and wondered how many students accepted Jesus? That was the norm for me early in ministry. I learned quickly that you cannot follow up on decisions if you don’t know who made them. Now, we give students a card to fill out at every event or camp when they respond. We now have their information about the decision so we can follow up. This can be done in a small-group time at camp or as a survey before you leave. The important thing is that you are capturing their information. The method doesn’t matter. After an event or camp, we have a rule that we will contact every student that makes a decision on the next day we are in the office. If we return Friday night, then we follow up on Monday. 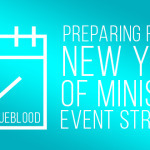 If you are a ministry that takes the week off after an event, then you need to have a 48-hour follow-up rule. A week is much too long. Procrastination is the enemy to follow-up. Effective follow-up is always time sensitive. Following up with students before they get bombarded with life is essential. 4. Have clear next steps. You need to have clear next-step processes in place for students who’ve made decisions at an event or camp. For example: On Monday our team calls every student that accepted Christ at camp. We explain the decision that they made, discuss baptism, sign them up for the next baptism date, have the student submit their story, and connect them to a discover faith class. In the discovery faith class we will talk about how to read the bible, pray, get connected to a small group, and other next steps. Make your next-step process very clear. Don’t you hate it when you leave a student a message and they don’t return your call? I’ve learned that students don’t check messages and rarely return calls. The job is not done until every student has the next steps they need. It is not enough to say, “Well, I left them a message.” Leaving someone a message is not follow-up. It is an attempt. Following up often takes multiple attempts. We often continue to contact for follow up with a student for weeks after an event. This persistence almost always pays off. Don’t give up. Following up takes a lot of work, but the payoff is huge. This is not an area of your ministry in which you can get apathetic. Be intentional and challenge your team to step up in this area. Derik Idol is the Pastor for High School Ministry at 12Stone Church in Lawrenceville, Georgia.